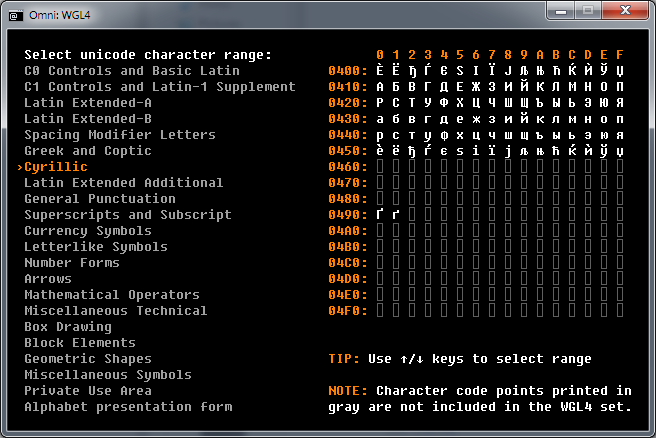 A lot of roguelike games intentionally use asketic textual or pseudographic visual style. However, native output via the command line interface ususally have a few annoying shortcomings like low speed or palette and font restrictions. Using an extended character set (several languages at once or complicated pseudographics) may also be tricky. BearLibTerminal solves that by providing it's own window with a grid of character cells and simple yet powerful API for configuration and textual output. Support for bitmap and vector (TrueType) fonts. Extended output facilities: tile composition, alignment, offsets. Windows, Linux and OS X builds. Bindings for several programming languages: С/С++, C#, Lua, Pascal, Python, Ruby. 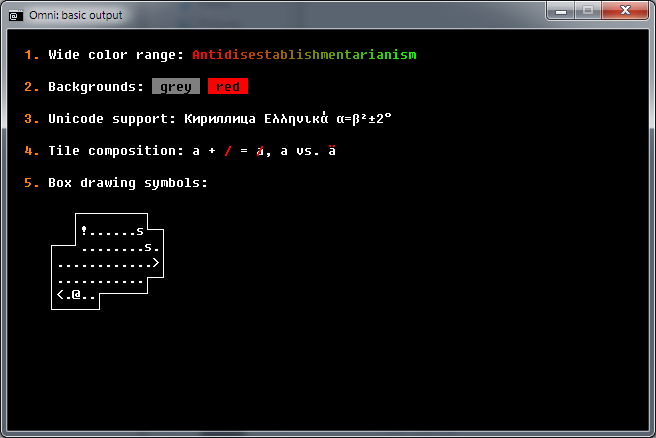 Unlike popular libtcod library, BearLibTerminal focuses on graphics output. It does not include random number generators or path finding algorithms. 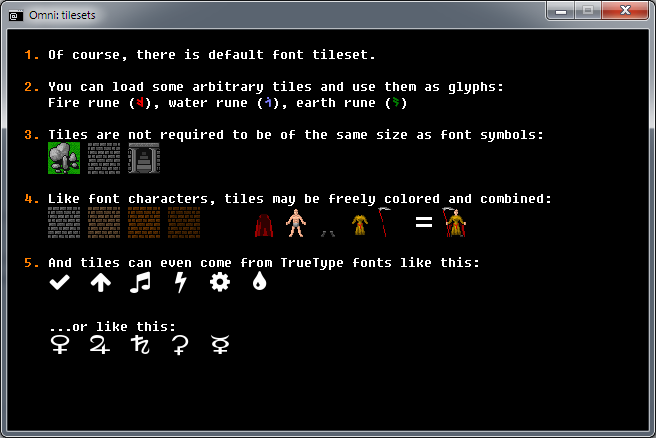 Instead BearLibTerminal provides a lot more options for font/tileset configuration and tile-based output. Current version is 0.15.7 (changelog). Archives for Windows, Linux and OS X contain library binary (both 32 and 64 bit versions), a quick showcase of library capabilities and header files for several programming languages. NanoJPEG: custom KeyJ's Research License.